Let’s start with the highest. 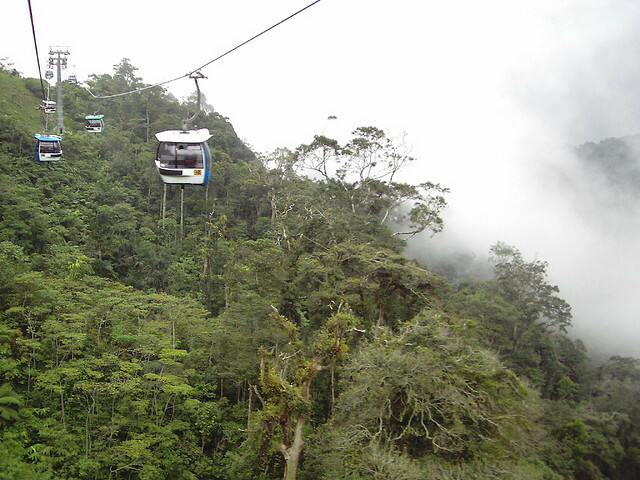 To do that we must go to Venezuela and the Cableway of Merida. 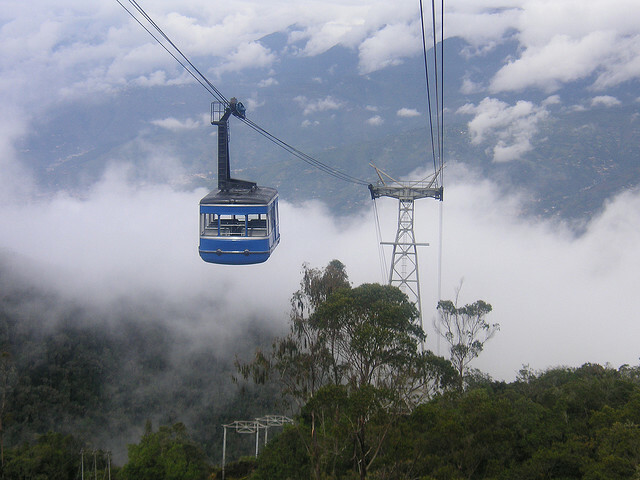 This is a system of four aerial tramways that connect the city of Merida with Tip Mirror. 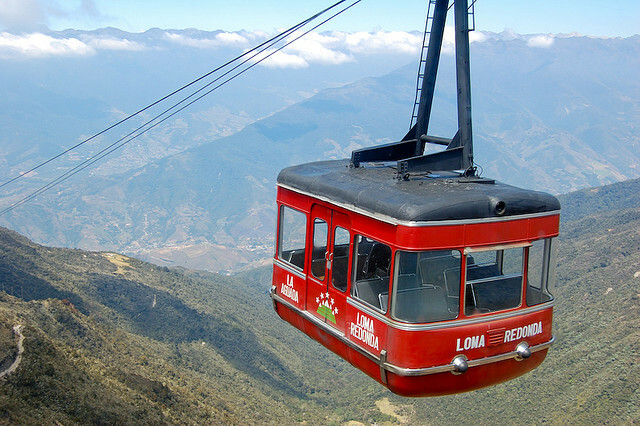 The tramway itself goes from 1640 meters to 4765 meters and that makes it both the highest and longest tourist aerial tramway in the world. The views from the cabins are almost like being in a plane. Strange how most people do not mind being enclosed in what, according to physics, is not much more than a navigated catapult – that is a passenger plane. 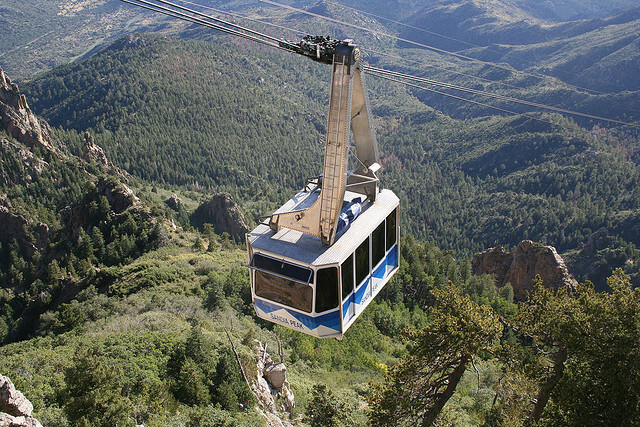 However, a good percentage of those who will blithely escape to the sun in a 747 will not step on to an aerial tramway, suspended at most a few hundred meters above the ground, for fear of their lives. 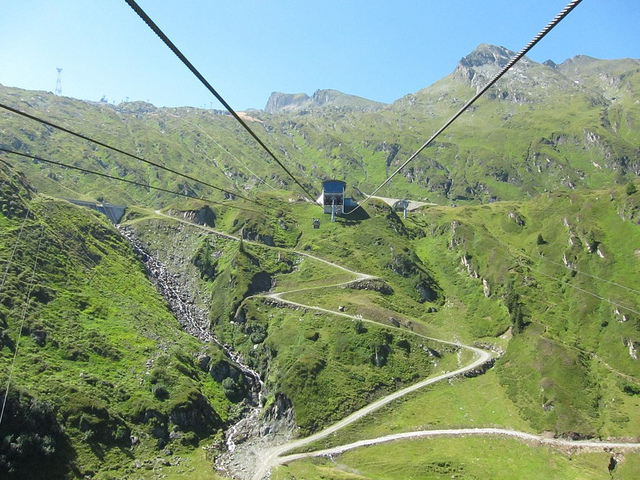 However, even though aviation is much safer than many other forms of transport, being a passenger in an aerial tramway is, in turn, safer than being taking a flight in a plane. 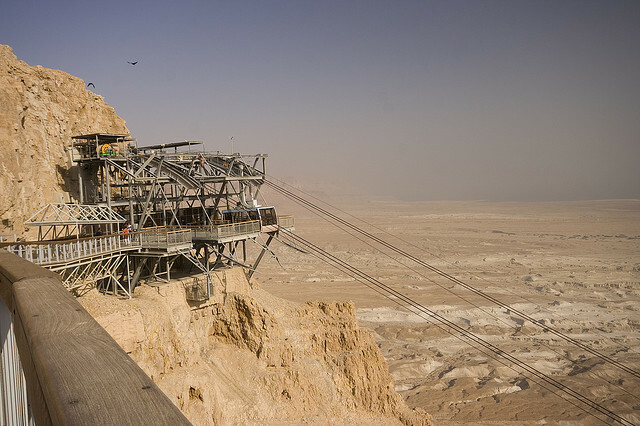 The lowest, on the other hand, is the Masada system in Israel. 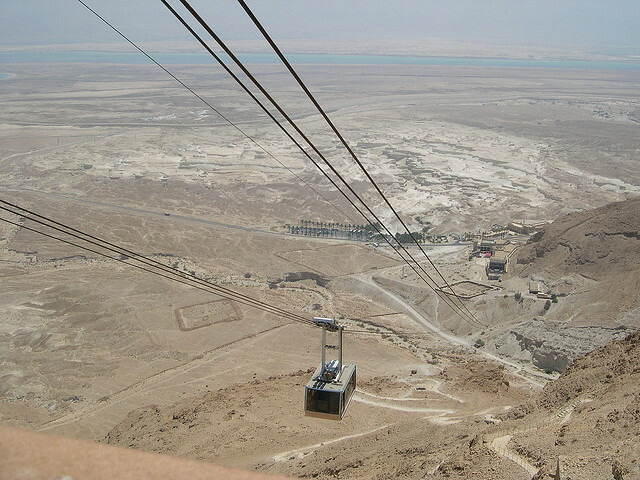 The station at the top is a mere thirty three meters above sea level. It consists of a single support pillar and twp cabins. Its length of nine hundred meters seems and elevatory change of two hundred and ninety meters is enough to put many off. 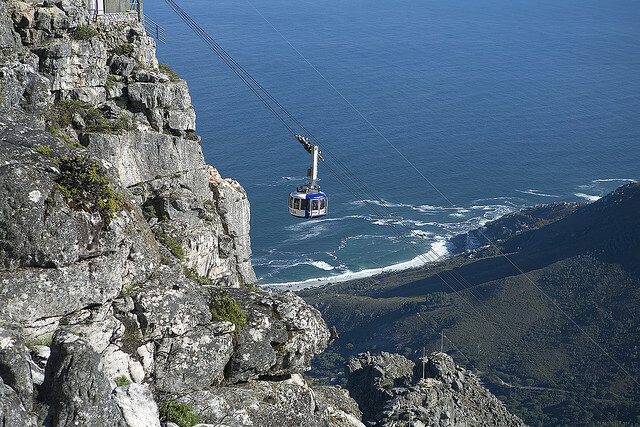 However, the journey by foot is daunting and dangerous and what lies at the top is well worth the ‘risk’ of taking the aerial tramway. In AD 72 it was the scene of a siege – almost one thousand Jews rebelled against the might of Rome. When the siege was finally broken its Jewish inhabitants committed suicide rather than give themselves us. As suicide is frowned upon in Judaism, lots were drawn and then, turn by dreadful turn, killed each other. Many British people reading this may wonder why I am referring to aerial lifts instead of cable cars. This is in deference to American readers who associate the latter with the land based systems found in cities such as San Francisco. 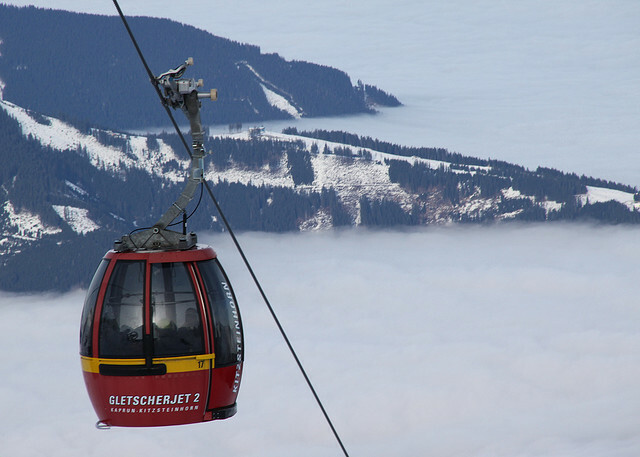 However, many travelers, especially those who favor skiing, also know the French and German words, which are téléphérique and Seilbahn. Of course, whatever you call the system, the pillars which support them are vital. The tallest support pillar can be found scaling the Kitzsteinhorn in Austria. Built in 1966 it towers an incredible one hundred and thirteen (point six) meters high, although it was originally ten meters smaller (having been extended twice). The concrete block on which it stands has sides of seventeen meters in length. 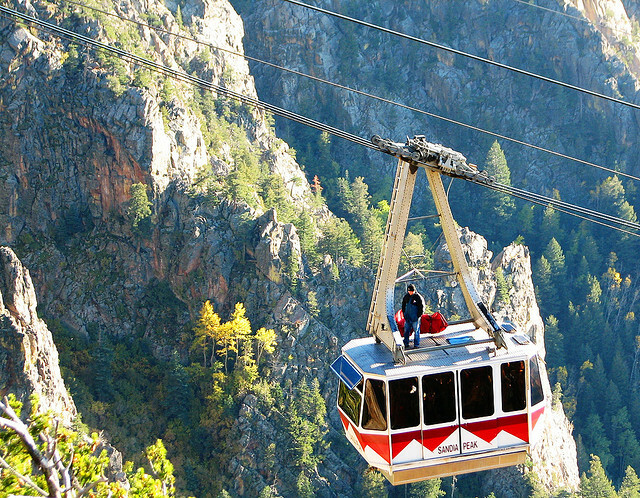 Although the numbers of people who use aerial tramways as tourists are vast, the record for the amount of people to use a system must involve it being part of a mass transit system. One would normally associate mass transit with speed rather than the slow grace of the aerial tramway. 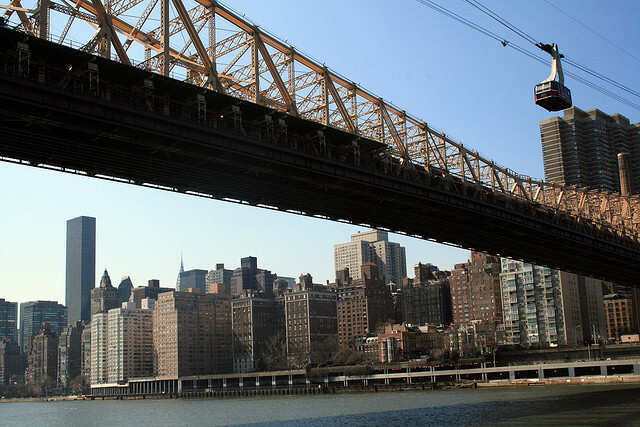 However, spanning the East River in New York City, the Roosevelt Island Tramway connects the latter with Manhattan. It began service in 1976 and has since then carried almost thirty million people. 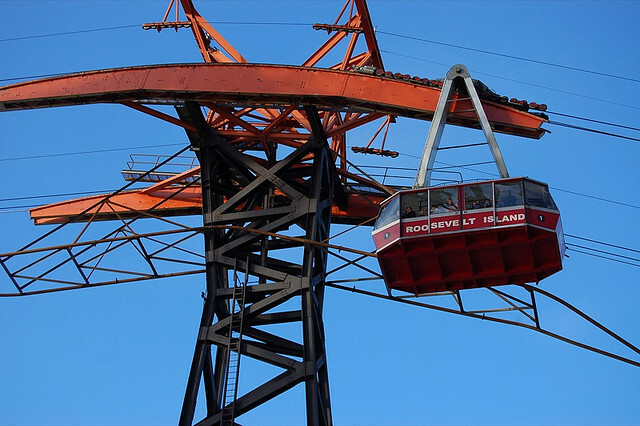 Until recently with the introduction of the Portland system it was the only mass transit aerial tramway in the USA. And yes, you did see it in the Spider-man film. 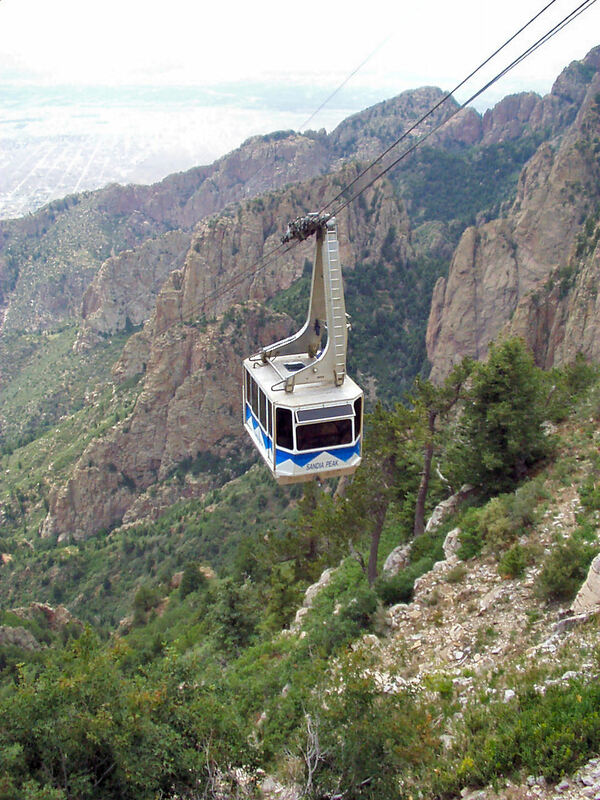 If you dislike the idea of travelling in an aerial tramway, then it may well be a good idea to avoid the Sandia Peak in New Mexico, USA. 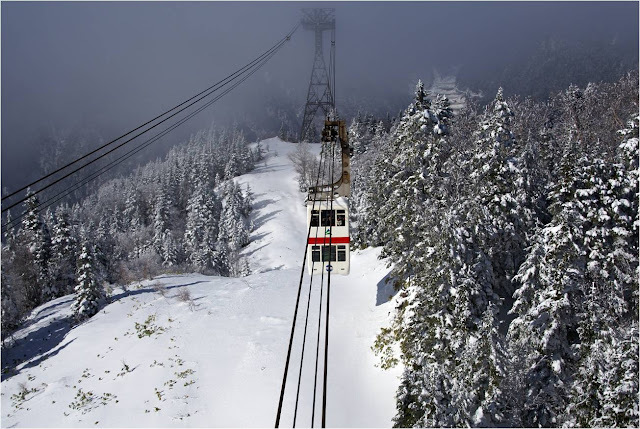 It is the longest passenger aerial tramway in the world. It has an incredible span of 4,467 meters and so is not for anyone who may feel airsick after a short amount of time. Starting out at the edge of Albuquerque it reaches the crest of the Sandia Mountains fifteen minutes later. 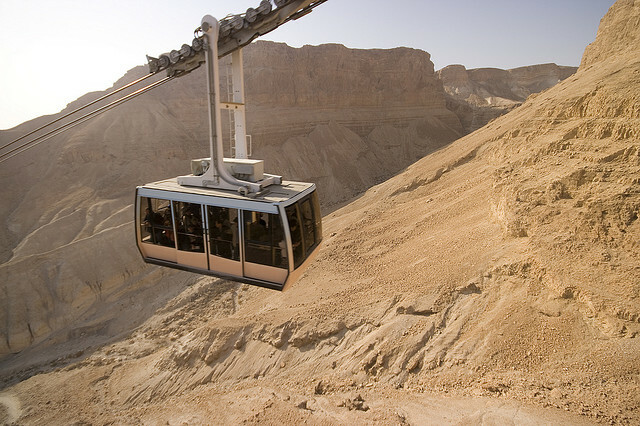 Those who operate the tramway call the journeys ‘flights’ and four each hour leave the base and the station at the top. 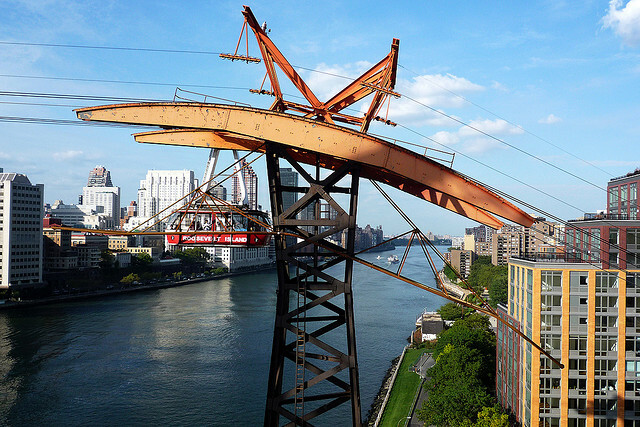 It is a double reversible – which means that as one tram is going up another is coming down. If you want a double-decker experience, then London is not the only city! 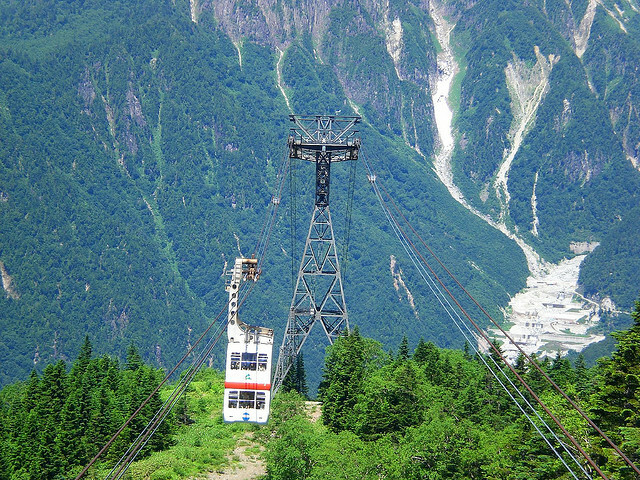 The third largest mountain in Japan, Mount Hotaka, has this system. 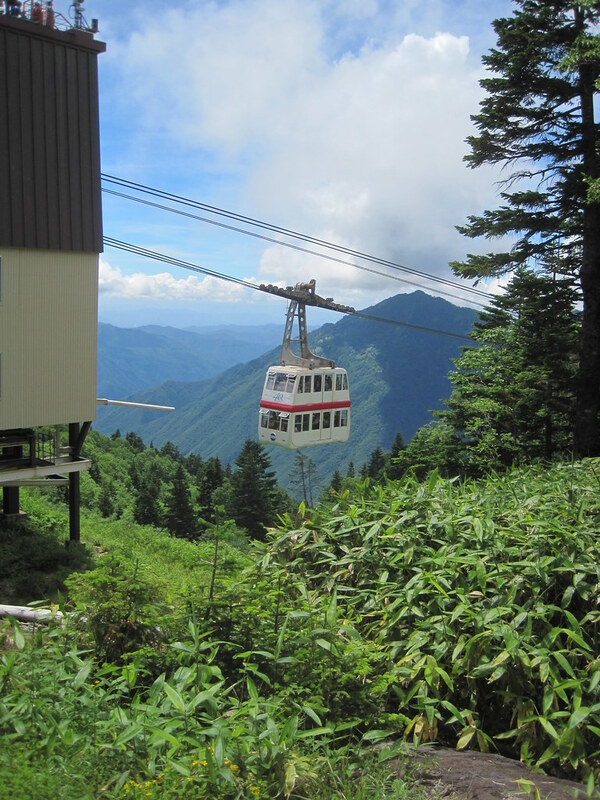 The Shinhotoaka Ropeway Number Two allows spectacular views of the mountain. 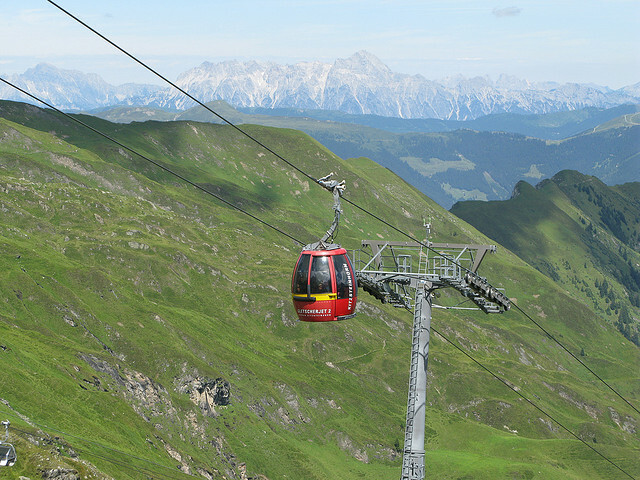 With the double-decker system a massive ninety people can take this aerial tramway trip of approximately seven minutes. For many, of course, this might be six minutes and fifty nine seconds too long as it rises eight hundred and forty meters in that space of time and the span is 2.6 kilometers. 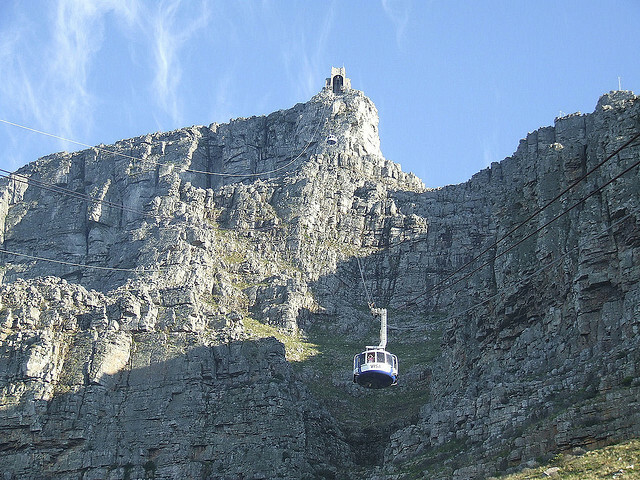 One of the oldest aerial transport systems can be found in South Africa and perhaps the oldest familial connection. 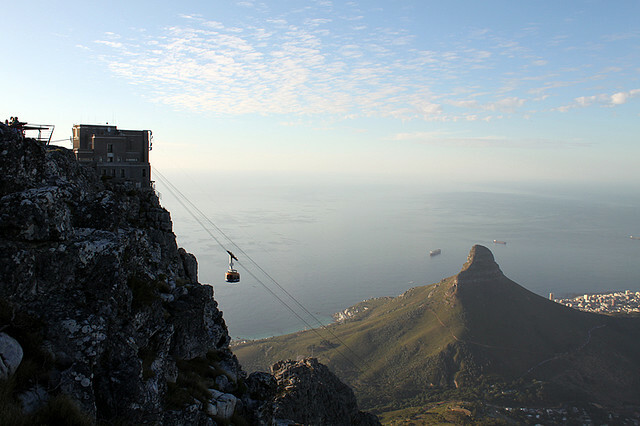 The Table Mountain system opened in 1929 with a single cable system that carried twenty five passengers and was sold in 1993 by the son of one of the founders. Now, one of the problems with a single cable system is the wind. The cars are quite liable to sway in a slight wind making the journey something akin to being riding a very slow, long wave. Fortunately this system now runs on two cables which make it very much more stable and it is also now capable of carrying sixty five people. This upgrade happened in 1997 and much fewer people are now a green hue when alighting at the mountain top. 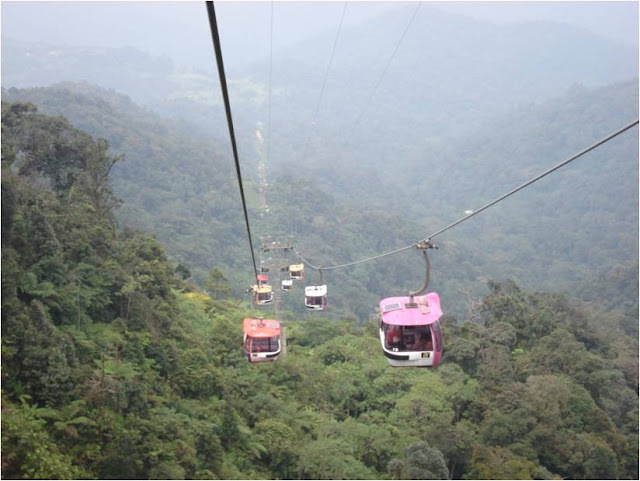 Currently the world’s fastest aerial tramway is the Genting Skyway in Malaysia. A famous mountain resort, it is also South East Asia’s longest system. It is a hugely popular tourist destination and a slightly strange on at that. 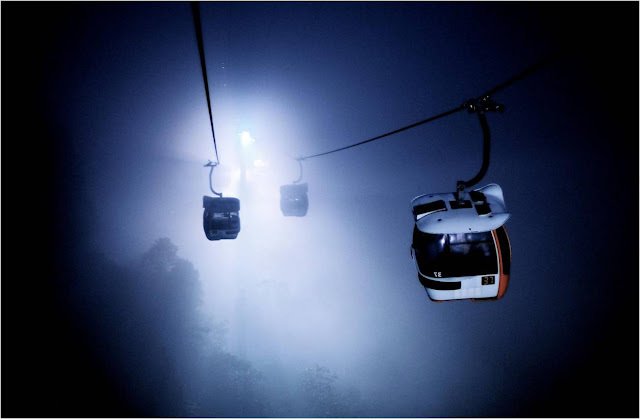 As well as being the home of an ancient rainforest which has a unique ecosystem, Genting is also where Malaysians can find their only legal land-based casino. So, no doubt, there is an odd mix of tourist visiting this place and riding this system! I have found it difficult to find information on the actual speed of this system, even though it is regularly boasted as the fastest – so any help – please put a comment in the box below!